Game for a full day spa but concern about the cost? How does spending S$250 for six different treatments with lunch and transport thrown in at one of Asia’s top 10 spa destination sound? Too good to be true? Well, I thought so until I experienced it firsthand last week at Tempat Senang in Batam. The whole session was so amazing that I can’t wait to return for another! Yes, it was THAT awesome! In case you’re wondering, this is a self-planned and self-sponsored trip. 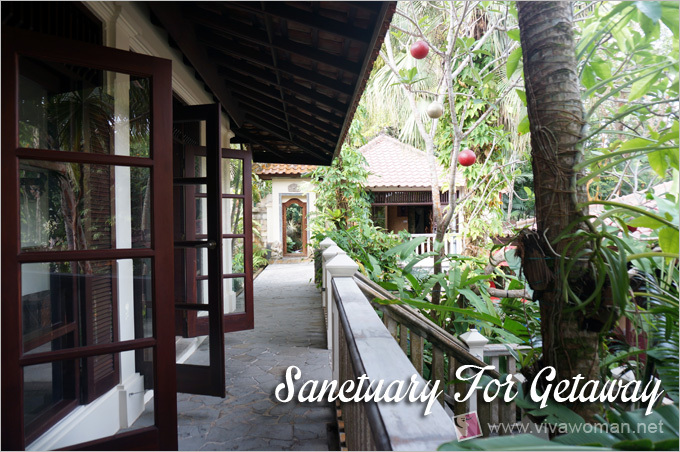 I came across Tempat Senang earlier in the year when I was planning my spa getaways. I wanted to indulge in a day spa for at least four hours at a stretch but was not prepared to pay an arm and a leg in Singapore. I was also not prepared to travel too far outside of the country because of time constraint—I wanted somewhere where I can just take a day off without spending the night and the closest was Bintan, Batam and Johor Bahru. 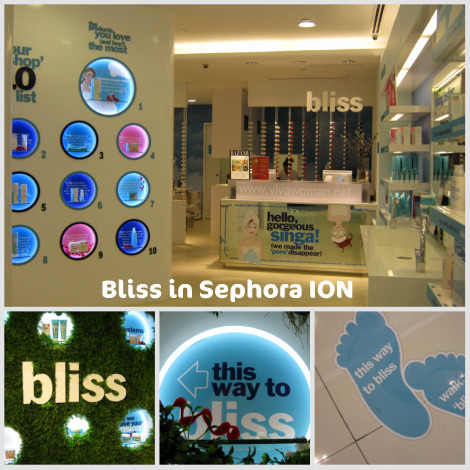 Now, Bintan and Batam are well known for spa getaways. I’ve been to the spas at Angsana and Banyan Tree in Bintan some years ago and I’d considered returning again, especially to Angsana. But when I looked up their website, I couldn’t see anything close to a day spa package. If information was available, it sure wasn’t as accessible as that of Tempat Senang’s which you can find on their website. In fact, Tempat Senang has two offerings for spa goers in Singapore—a half day spa package (three hours in the morning or afernoon) or a full day spa package (six hours from 9am to 4pm). The cost was very reasonable for the full day spa package—just $200 including tax for weekdays from Mondays to Thursday (weekend rates are closer to $300). What’s included is pick-up and drop-off from Sekupang Ferry Terminal, your choice of six different categories of treatments from their spa menu (up to two 60-minute massages) and a complimentary Indonesian spa lunch. The ferry tickets via Batamfast is just S$48 so all in, the full day spa session only cost S$248. Since I was already taking the time to travel over, a full day spa sounded more fruitful and so that was what I signed up for with a colleague. I didn’t realize that Tempat Senang is the number one hotel in Batam nor was I aware that it was TripAdvisorâ€™s Travellers Choice 2011 Top 10 Spa Destination in Asia. But when I set foot in the resort, I can see why. 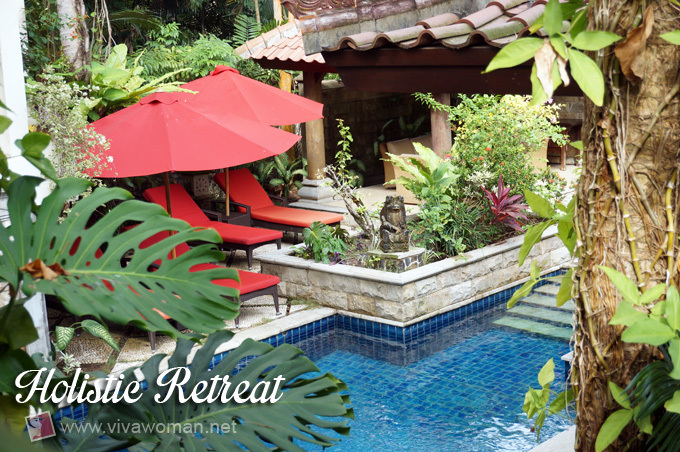 This is a rustic resort built on a predominantly Balinese theme and is very well maintained with lots of lush green foliage—a true sanctuary for a holistic retreat. But what was most commendable is the warmth and hospitality of the staff—the two of us were actually greeted by an entourage of staff every step along the way! They sure knew how to make their guests feel important! All their staff were obviously very well trained and were able to make us feel comfortable even though they spoke little English. They were friendly, patient and gave us space and time when we stopped at every corner to take pictures. No one made us feel awkward and no one made us feel like we were wasting time. In fact, their good service began from the moment I booked the package with them. They were very thorough in providing their confirmation and giving me instructions on the ferry timetable via email. They were also prompt to send me a reminder a week prior to our sessions. When I realized I’d made a mistake filling out the number of pax, they were very quick to rectify the issue with no fuss whatsoever. Everything was just hassle-free! 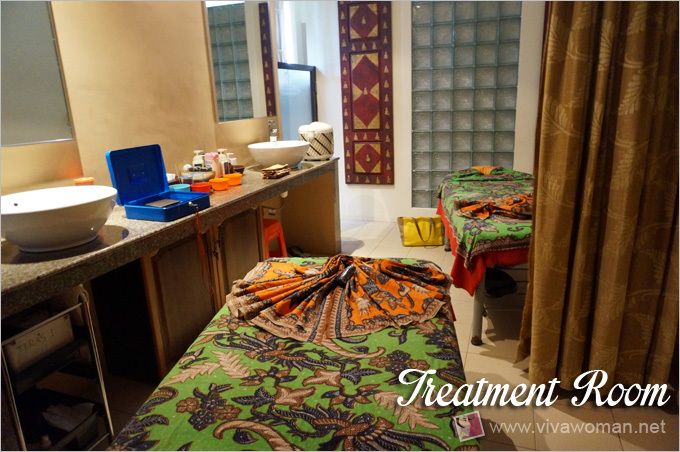 Before the spa session commenced, we were seated down to confirm the types of treatments we wanted. 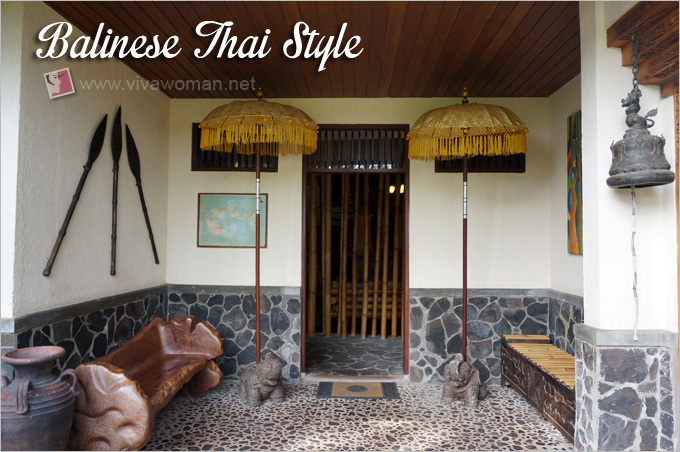 Tempat Senang offers treatments from head to toes and we were to choose two types of massages and four other treatments. Interestingly, their staff advised me against the milk bath and body wrap that I’d initially chosen because they feel that I wouldn’t get the best value for money since I would be left on my own with those two treatments. They recommended me to pick treatments where I could optimize the time of their therapists. So in the end, I picked their Balinese massage, an aromatherapy massage, a seaweed body scrub, a hot herbal compress massage, a foot reflexology and a pedicure. Next stop was the treatment room and my colleague and I almost broke into cold sweat when we were directed to a twin sharing room. No sharing! We wanted our privacy and were not interested to encroach on each other’s modesty! But our concerns were quickly allayed when we found out that the room was divided by means of a curtain and we would each have our own bathrooms and changing area. What a relief! However, I didn’t like that the spa resort did not provide lockers or cupboards for our bags. 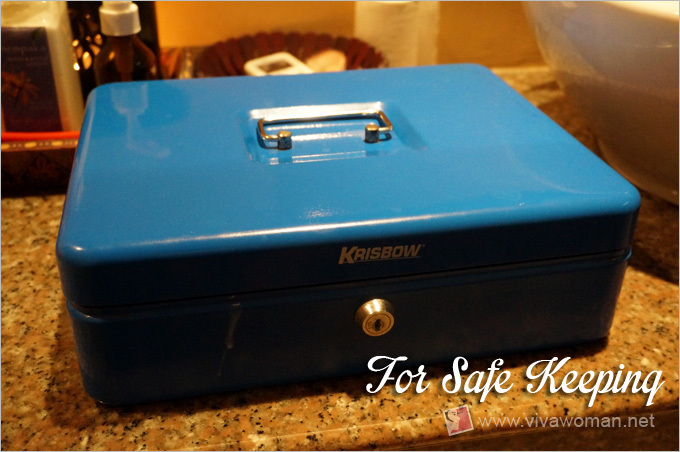 Instead, we were only given a box with a key to lock away our valuables. Nothing was said about where to place our bags and in the end, we just stashed them under our treatment beds. The Indonesian therapists who were assigned to us were very skilful in their massages and needless to say, we both enjoyed all their tapping, rubbing and kneading. 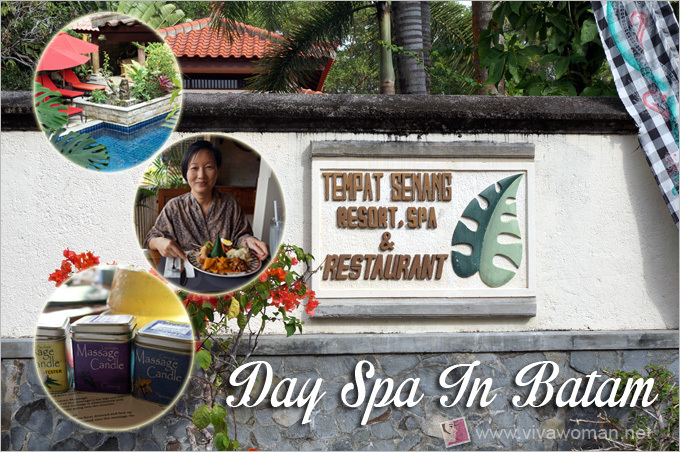 I wasn’t expecting a lot from the Balinese massage as I’ve done similar ones elsewhere but I have to say Tempat Senang’s exceeded my expectations. I highly recommend you to try this massage if you head there. 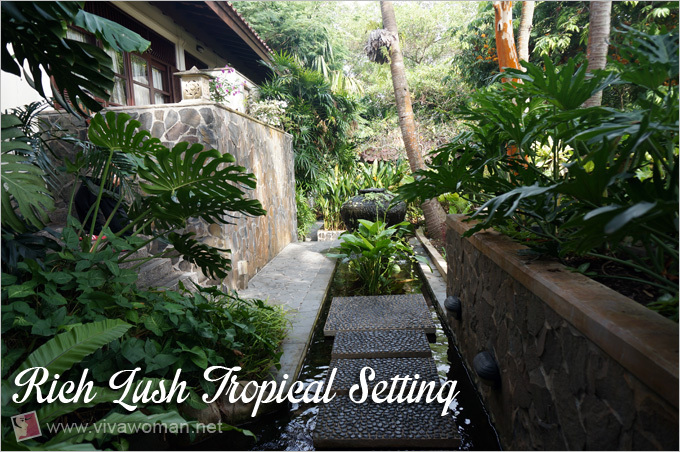 After my Balinese massage, I was given a body scrub followed by the hot herbal compress massage. The scrub was average as I found it to be very dry. I couldn’t feel any oil nor any water on my skin when I was scrubbed. The hot herbal compress massage on the other hand was interesting and I liked it. This is a 400-year-old heat massage treatment that uses a steamed rounded cloth bundled with herbs and spices to soothe body aches and pains. The compress felt hot on contact but it wasn’t uncomfortable. I definitely felt my muscles easing up a lot after the treatment. 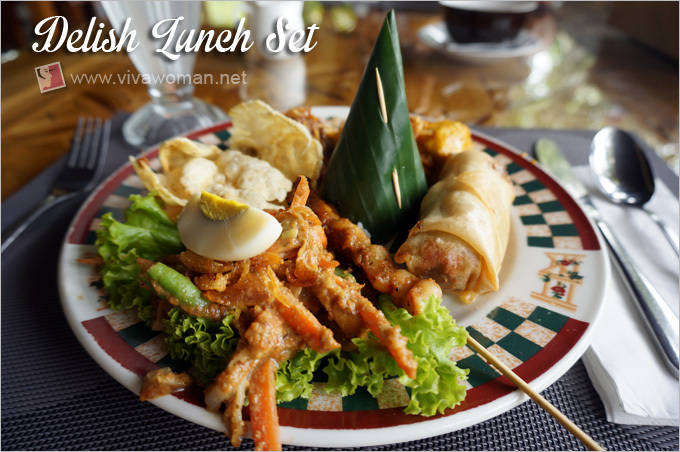 Lunch was scheduled after the first three treatments and by then, we were rather famished and were thankful to be served a big plate of Nasi Campur at their open-air terrace restaurant. The meal wasn’t exceptional but it’s pretty delicious by our standard. However, with another body massage to go, we both wondered how we could possibly keep our food down when pressed upon. Our imaginations were running amok with images of us retching in the middle of the treatment. LOL. But again, our fears were unfounded because the spa scheduled our foot reflexology right after our meals. Good thing our digestive system isn’t anywhere near our feet! 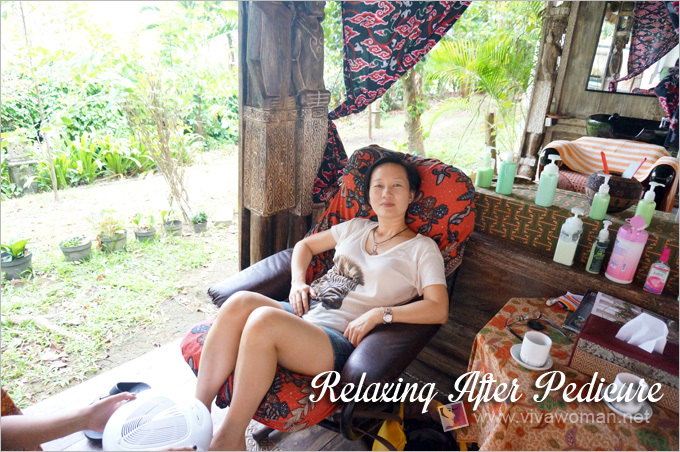 I must say that I really enjoyed the reflexology very much because it was done at their outdoor spa area. The afternoon wasn’t hot or humid and we could just sit back and relax while the therapists worked their deft fingers on our little toes. 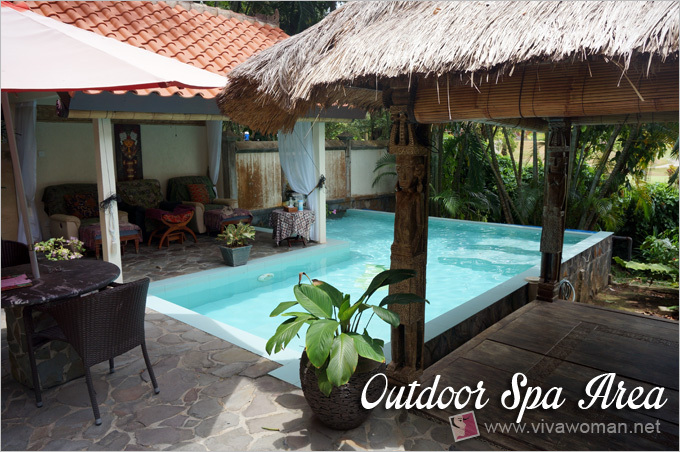 Besides foot reflexology, the outdoor spa area houses two stations for hair spa. 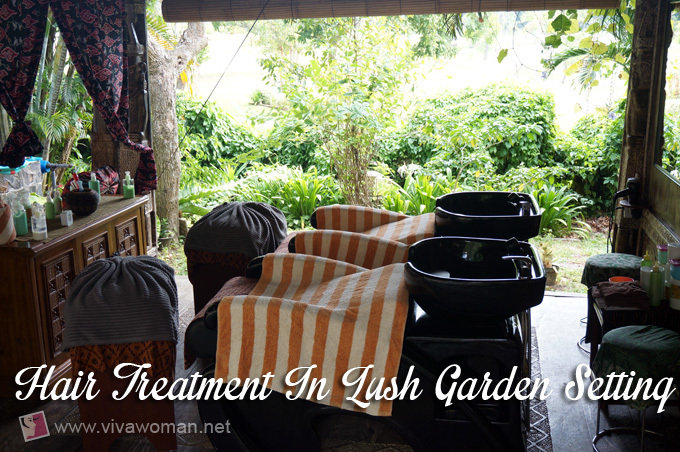 How picturesque is it to have your head massaged and hair treated within a lush garden setting! Right after my foot reflexology was an aromatherapy massage. By then, I was very comfortable and had fallen asleep during the treatment. I was awoken to my last treatment—a pedicure. Choosing the pedicure treatment was a mistake though. This is one treatment I wouldn’t recommend. Why? I think the therapists at Tempat Senang have great handiwork but their skills are better kept at massaging really. The therapist who did my pedicure (same one who did my foot reflexology too) did a decent job in terms of cleaning, scrubbing, trimming, shaping and filing. I also like the way she handled my feet—with lots of care and attention. However, when it came to painting, the job was poorly executed. That or the nail polish was at fault. So in the end, I had to leave with painted toe nails that dried to lots of bubbles. Also, while OPI was the nail polish of choice, the colors were very limited. But that was the only blip in my otherwise perfect spa session at Tempat Senang. My colleague and I agreed that most of their treatments were excellent and their service was impeccable. Best of all, their staff were able to make us feel like a million bucks! We went excited and left radiant and rejuvenated. 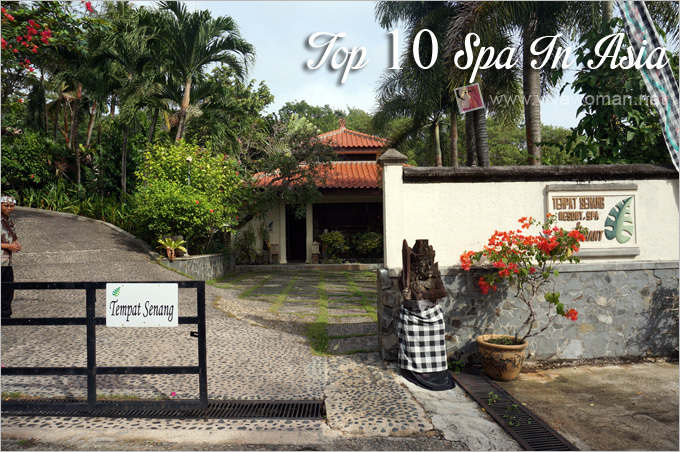 I highly recommend Tempat Senang if you’re an avid spa goer. You’ll definitely find your time and money well spent! I should also add that they’re very clever to make the entire day spa experience so hassle free. In fact, I would have no problem visiting the place on my own! And next time, I’ll go for the milk bath and body wrap on top of the body massages. Never mind I’ll be left much on my own. 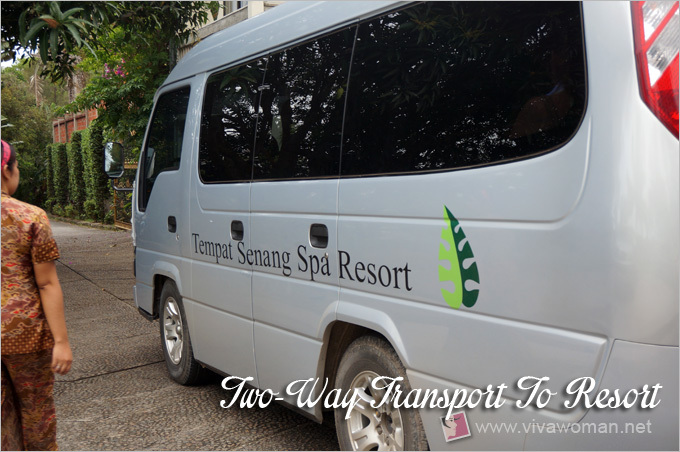 Oh, I forgot to mention that Tempat Senang Spa Resort is just 10 minutes away from Sekupang Ferry Terminal. A driver picked us up in a car on arrival and we left with a few other guests in a van. Timing was precise and we didn’t have much time to waste. I arrived in Singapore around 7pm and if I didn’t mention, no one would have realized I was away for the day. For more information on Tempat Senang, check up their website. Anu singh last post is: Hello world! This is really a interesting blog. This is just because I was looking for some skin care treatment and I found that your suggestions are really appreciable. Cómo debe ser tu web en tu salón de peluqueria, centro de belleza o spa. Thanks for sharing! I will be visiting this coming 22 June!